Add storage and display space to your home office with this multi-functional bookcase. The piece features three adjustable shelves to display and store anything from books to decorative accents. 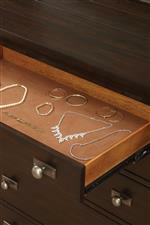 A locking file drawer adds practical office storage for letter and legal size files. 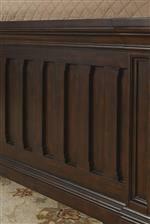 Bracket feet and crown molding offer traditional appeal while a deep brown finish provides rich, sophisticated tones. The Walnut Creek Bunching Bookcase with File Drawer by Flexsteel Wynwood Collection at AHFA in the area. Product availability may vary. Contact us for the most current availability on this product. Construction: Case Quality veneers and solid poplar wood. Featuring clean lines and traditional detailing, Walnut Creek is the perfect collection for those who appreciate simple, sophisticated style. 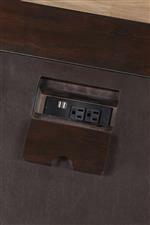 Pieces are crafted from poplar solids and veneers, and finished in a deep brown color. Bracket feet, vertical panel overlays, and crown molding add classic appeal, but clean lines still give each piece a sleek appearance. Ample storage and function abounds throughout the collection with wire management and USB ports on select office pieces. Outfit your home with the refined style and smart function of the Walnut Creek collection. The Walnut Creek collection is a great option if you are looking for Traditional furniture in the area. Browse other items in the Walnut Creek collection from AHFA in the area.